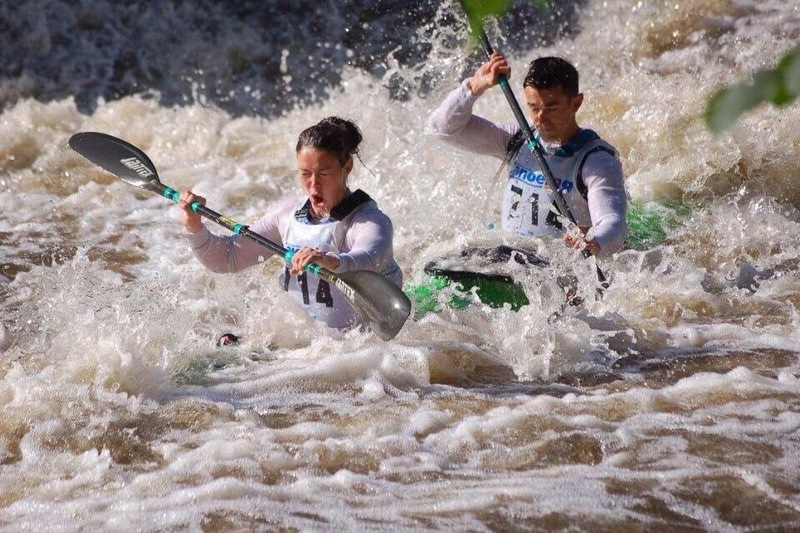 Neil Fleming of Celbridge Paddlers and Robin Koenders of Denmark won the men’s K2 class at the 56th Liffey Descent canoe marathon today in 1 hour 48 minutes 32 seconds. Salmon Leap pair Gary Mawer and Barry Watkins, who were last year’s K2 winners, were over two minutes behind for second place in 1:51.00. Jenny Egan and Jon Simmons of Salmon Leap, who won the junior K2 as far back as 2003, set a new record time of 1:53.26 for the mixed K2 class also finishing fifth overall. Winning the K1 class was Tom Brennan of Salmon Leap. 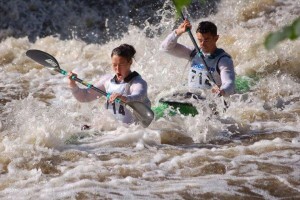 Over 500 look part in this classic 17-mile race from Straffan to Islandbridge, which with its ten weirs, two sets of rapids and a portage is known as the “Grand National” of canoeing.